Bailey Wright featured prominently in the qualifiers but won’t be going to Russia. WORLD Cup qualifying regular Bailey Wright has been axed from the Russia 2018 squad. Long-time no.2 keeper Mitch Langerak has also been cut along with Jamie Maclaren, who scored a hat-trick for Hibernian at the weekend, after Bert van Marwijk culled the squad to 26 in time for the pre-camp starting in Antalya, Turkey on Sunday. A-League bolters Daniel Arzani (Melbourne City), Dimi Petratos (Newcastle) and his former Jets teammate Andrew Nabbout (now based in Japan) were picked, leaving them within touching distance of a coveted berth at the world's biggest sporting event. Rounded out the six omissions from the extended 32-man squad named last week were Lens left-back Alex Gersbach, Czech-based stopper Aleks Susnjar and Cyprus-based striker Apostolos Giannou. Croatian-based bolter Fran Karacic is also bound for Turkey, with van Marwijk eager to see the right-back first-hand along with the Socceroos' record goalscorer Tim Cahill. 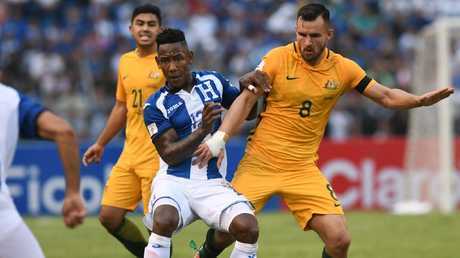 Wright, who was a World Cup bolter four years ago from England's third tier progressing to 22 Socceroos caps since, is particularly stiff to be dropped. The Bristol City captain played the eighth most minutes of any Socceroo in qualifying, and improved with every appearance during his 12 starts at stopper. 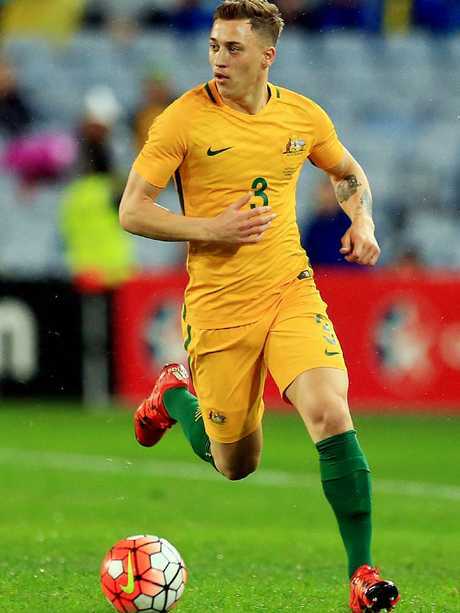 But van Marwijk opted to use current club positioning as his basis for the first XI in his debut Socceroos match against Norway, as Wright was picked at right-back on a rare international occasion, switching with Degenek at stopper. 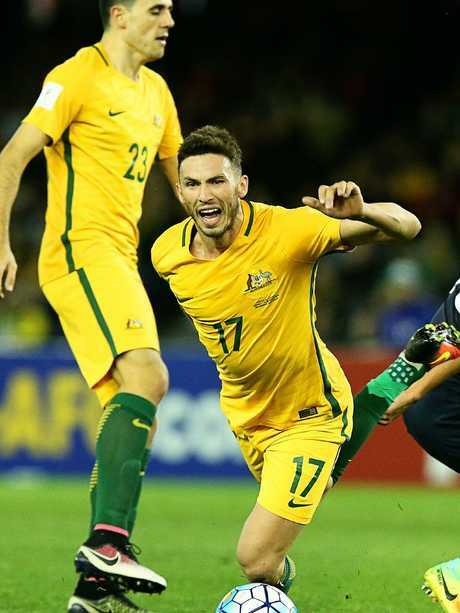 Although Wright has been playing at right-back for Bristol of late, he is clearly more accustomed to the stopper's role for the Socceroos, and being subbed on 52 minutes in the 4-1 loss to Norway (when the score was 2-1) was a sign of things to come. Jamie Maclaren has missed out on the Socceroos squad. 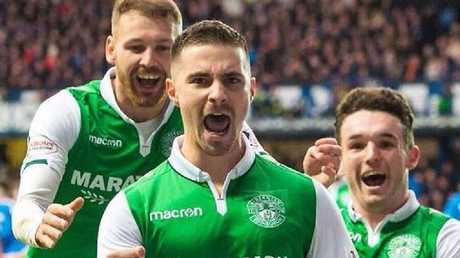 Maclaren, who netted eight goals in 15 games since switching from German side Darmstadt to Hibs, was also stiff not to make the extended squad. Cahill and Tomi Juric are the only recognised strikers, although versatile Nabbout is also being viewed as strike option by van Marwijk. Langerak, who at one stage was pushing Ryan for the No.1 shirt, has been swiftly overtaken by Feyenoord keeper Brad Jones and Danny Vukovic, who's enjoyed a sensational debut season with Belgians Genk. Gersbach, 21, looked destined for Russia after a stunning Confederations Cup performance last year but James Meredith's regular minutes for Millwall convinced van Marwijk he was the man to put pressure on Turkey-based Aziz Behich. "It is always a challenging task to reduce a squad, however this is the nature of professional sport at the highest level," van Marwijk said. Alex Gersbach has been omitted. "Overall, I believe we have named a strong and ambitious squad for our training camp in Turkey and friendly against Czech Republic in Austria. "I am sure that in training in Antalya, and in our match against the Czech Republic, we will see players pushing to go to a higher level as they compete for a place in the final squad." The squad will be cut to 23 by June 3, before the final friendly against Hungary in Budapest ahead of the World Cup opener against France on June 16. 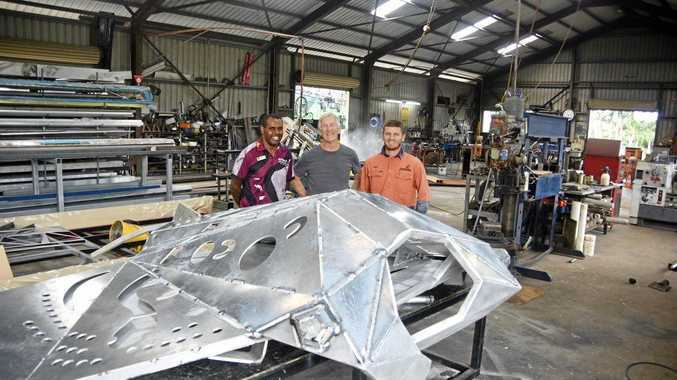 Mile Jedinak (Aston Villa, England), Mark Milligan (Al Ahli, Saudi Arabia), Robbie Kruse (Bochum, Germany), Jackson Irvine (Hull, England), Massimo Luongo (Queens Park Rangers, England), Aaron Mooy (Huddersfield, England), Tom Rogic (Celtic, Scotland), James Troisi (Melbourne Victory). Mitch Langerak (Nagoya Grampus, Japan), Aleksandar Susnjar (FK Mlada Boleslav, Czech Republic), Bailey Wright (Bristol City, England), Alex Gersbach (Lens, France), Jamie Maclaren (Hibernian, Scotland), Apostolos Giannou (AEK Larnaca, Cyprus). Apostolos Giannou is one of the cuts.